Web presence management is the process of creating and maintaining a digital inventory of all web points-of-presence (POPs) including: social media accounts and pages, websites, blogs, and domains. 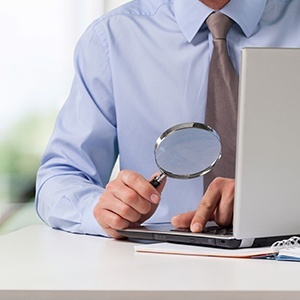 At first glance, web presence management may seem primarily like an administrative task. 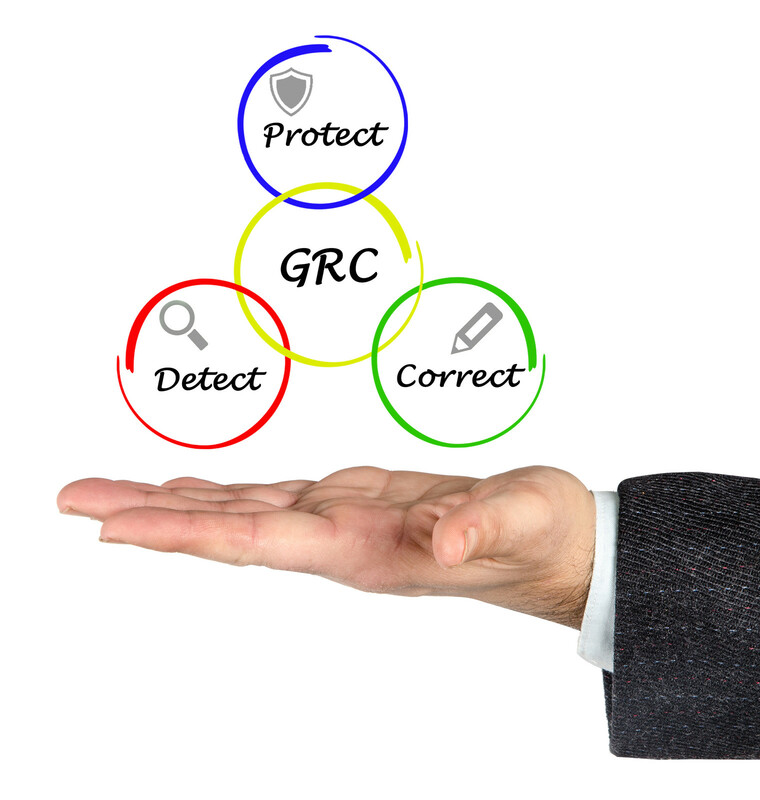 However, it is actually a strategic process critical to managing risk events as well as keeping your brand standards and voice monitored accurately. Your digital footprint is often the main entry point for your customers to experience your brand, and if your customer has a negative experience with an online point-of-presence, then your brand reputation is in jeopardy. To date, most companies' web presence management has been conducted by manual audits and tracked on static spreadsheets. This not only takes a lot of human resources, but it is also fraught with human error. Stepping up to a comprehensive SaaS solution that provides an automated process does require investment, but the cost trade-off vs the risk is well worth it. So how do you get the resources and support needed from your senior management? The term “threat vector” is traditionally used in the cybersecurity and InfoSec space, and refers to vulnerabilities that expose organizational networks and endpoints (e.g. computers, laptops, employee-used smartphones, etc. ), to malware, viruses, and other hazards. However, the threat vector concept is just as important and applicable when it comes to web and social media governance. Cyber criminals, counterfeiters, rogue current employees, and disgruntled ex-employees are increasingly turning their attention to these digital points of presence — and compromising them with alarming ease. That’s the bad news. All around us, the world seems to be going “mobile first”. Given almost all of us walk around with a powerful computer in our pocket, that’s not terribly surprising. 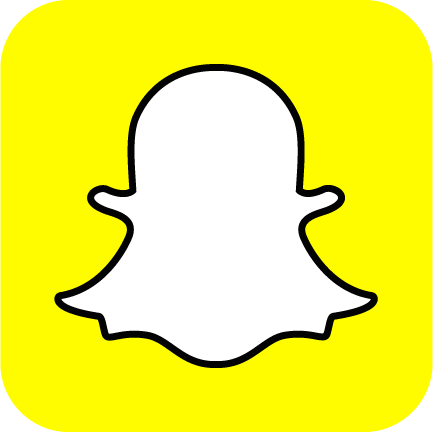 However, if you’re an enterprise trying to keep track of each corporate web presence, new mobile-only apps like Snapchat and Peach may be causing you some frustration. How do you find and keep track of the accounts your employees may be creating to represent (or protect) your products and brands? It’s not like there is an obvious URL one can type into a browser to go to the app as the whole user experience happens on the phone. While it may seem that each mobile app is an island to itself, that’s usually not true – especially when the app is just getting started. When the app is young, it focuses mainly on building an audience and that requires a streamlined sign-up and invitation process. 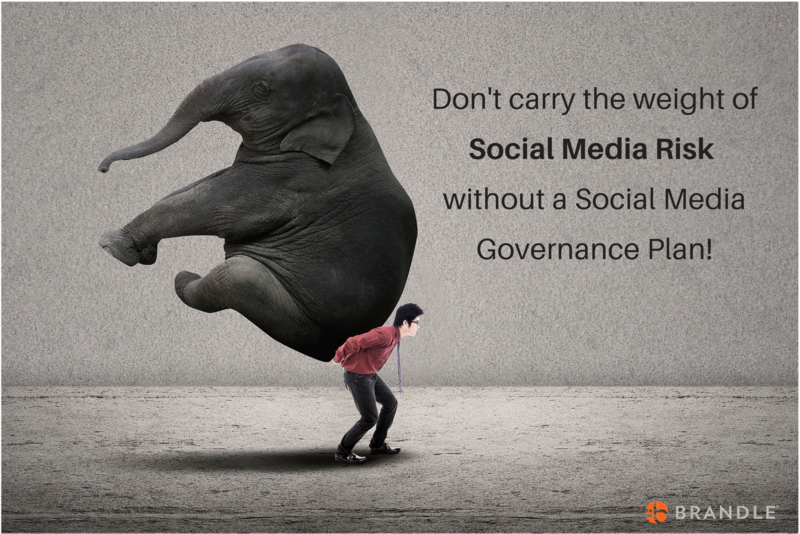 Successful Social Media Governance — Make a Plan & Work the Plan! Controlling social media risks is all about creating a solid Social Media Governance Plan and maintaining an ongoing governance process. This series lays out a "best practice" outline that you can use for your company — just customize it to address specific concerns of your company and your industry. This is the final post in the series and we will highlight the five steps for processes and procedures of Social Media Governance. 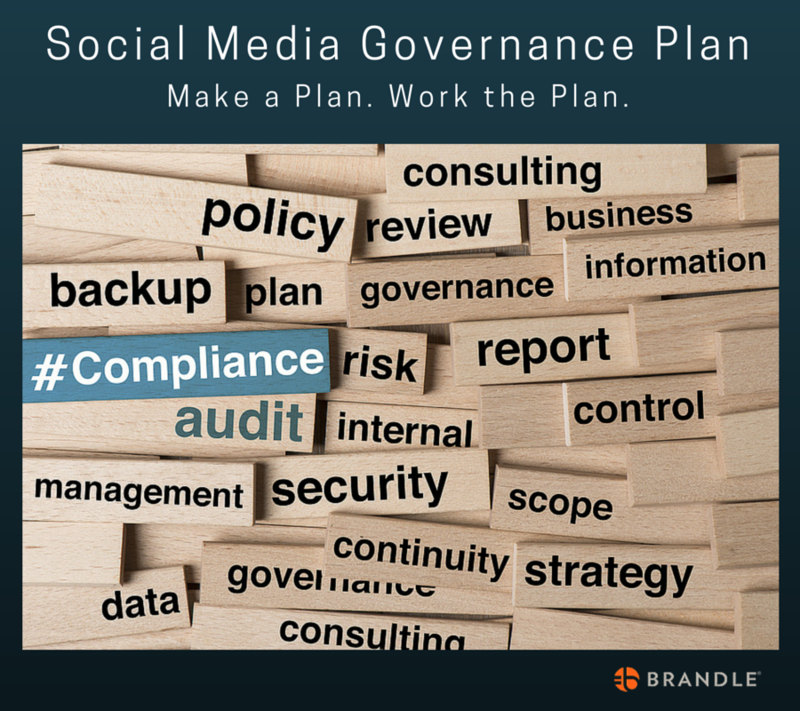 If you have been following this blog series on how to create a Social Media Governance Plan, you know that the key goal is to mitigate risks for your company. Research shows that corporations consider reputation damage as the most crucial risk concern with technology threats in the top ten. Social media risks fall under both of these risk concerns, so creating a solid plan and ongoing governance process is certainly a "best practice" for every company. It also is critical to ensure the plan ties into the overall corporate risk management program. 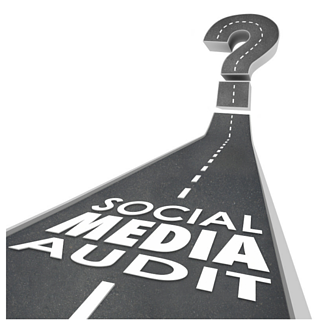 This post (Part 3) continues with the process of creating your Social Media Governance Plan and prepares you for your corporate social media audit. 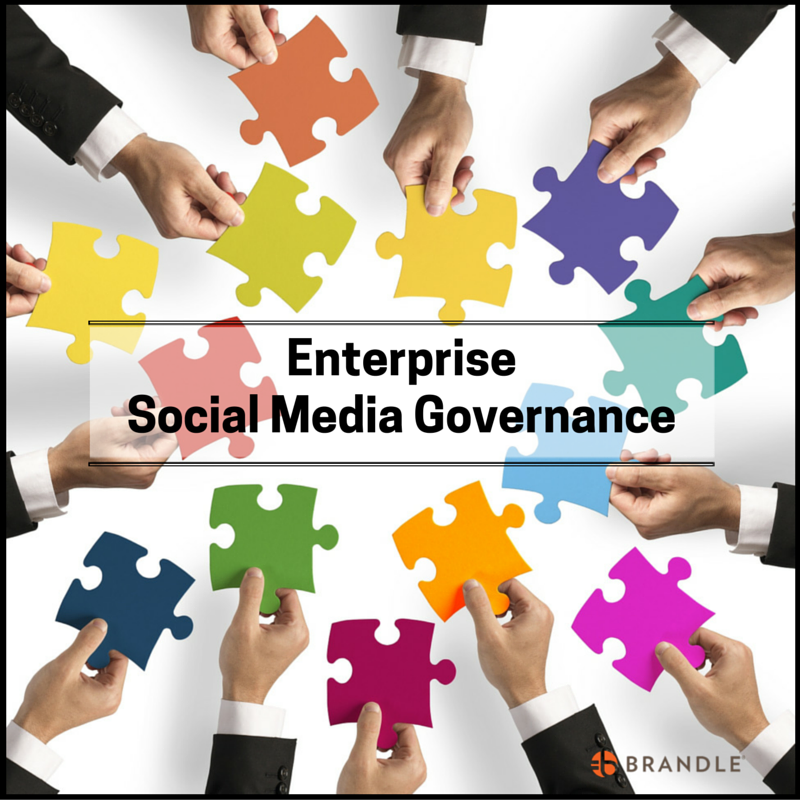 Social media governance is an ongoing process with the primary goal of mitigating risks for your company. Research shows that corporations consider reputation damage as the most crucial risk concern with technology threats in the top ten. 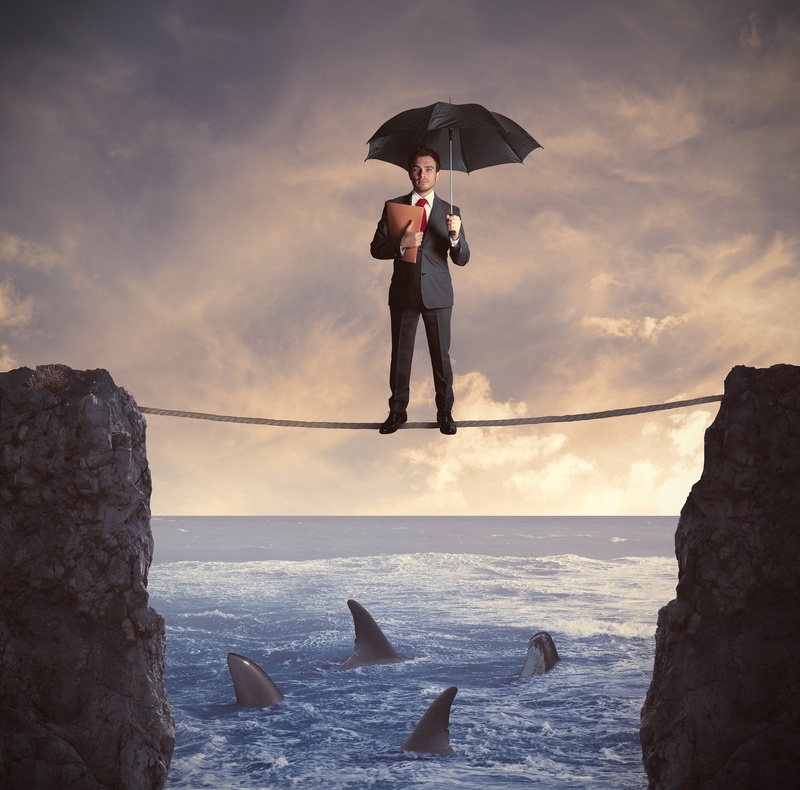 Social media risks fall under both of these risk concerns. To be successful at managing social media risks, it is critical to have a Social Media Governance Plan in place and to work the plan. It is also critical to ensure the plan ties into the overall corporate risk management program. Whether you are creating your first Social Media Governance Plan or updating your current one, you need to make sure you cover all of the elements that are important to your company. This post (Part 2) continues with the items you need to consider for your Social Media Governance Plan. Throughout the year we keep our eyes focused on the service firms that conduct research on risk factors facing the C-level suite of global enterprises. Because social media can spread so quickly, the C-suite and the Boardroom have to consider how a major risk event will either stem from or play out on the web. Which means the people leading the digital and social media team need to have strong web presence governance in place to effectively manage these risk concerns. Now that it is 2016, it's a good time to take a look at last year's risk research and consider what is top of mind for global CEO's. We believe this perspective can help you gain a general understanding of corporate risks and prepare you to have better conversations about the specific risks that your own CEO is concerned about for your company. Why? Because understanding your company's key risk concerns is the first step to developing an effective social media governance plan. Damage to Reputation/Brand is the #1 global risk concern in most research. Disruptive Technology and Cyberthreats play prominently for all industries. Your corporate web presence (web and social media sites) are inroads to trigger all of these major risk concerns! Nick Hayes of Forrester has just published the December, 2015 report for Security and Risk Professionals. The title of the report is TechRadarTM: Risk Management, Q4. In this Forrester report, Nick identifies the thirteen most important technology and service categories for risk management at various stages of market maturity, business value, and user adoption. Hayes raises several issues/opportunities/risks/practices to consider in this report and we recommend it to anyone in the C-suite or who is tasked with managing risk to the enterprise. Brandle Tips is a series of posts that highlight features and functions of the Brandle Presence Manager. We hope to make learning easier for our customers and to show other readers how easy web presence management can be! Today's Brandle Tip is all about the Inventory Monitoring Column and how Brandle automatically monitors your social media profiles. When there is a monitoring issue, Brandle will email you the issues as well as present them in the Monitoring Column of the Inventory table. Each key event has multiple options that may be presented, and they all should be reviewed by a member of your Account Team. 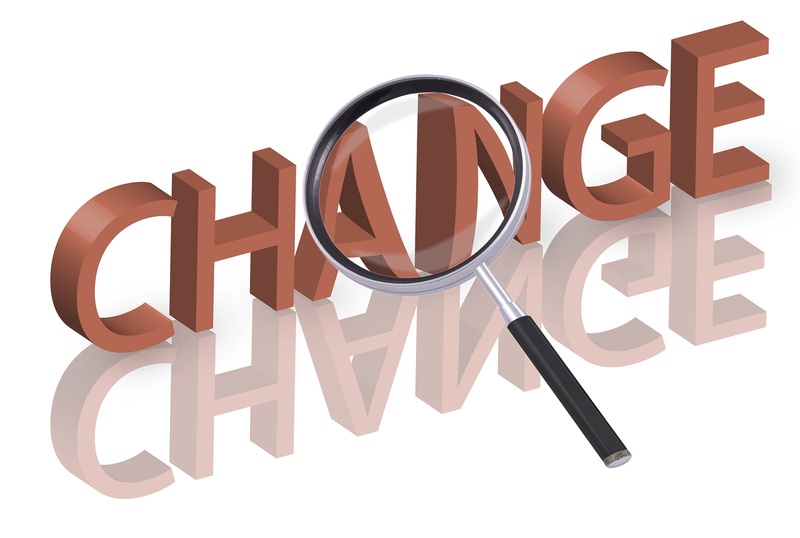 Once reviewed, the team member should either process the changes with the point-of-presence (POP) contact or approve the change and dismiss the issue. The rest of this post takes you through the steps.